In celebration of the tireless efforts our advocates make for Colorado’s women and children, our Public Policy Council awards an individual whose dedication to public service and outstanding commitment renders paramount. This award is a token of gratitude and recognition of the hard work and support the legislative community has in the advancement of the League’s mission. The Junior League of Denver Public Policy Council is proud to honor Representative Jim Wilson (R- Salida), a long-time partner to the League and unwavering advocate for children and education, as our 2018 Legislator of the Year. Rep. Jim Wilson was elected to the Colorado State General Assembly in 2012 to serve House District 60 and has served on the House Education Committee throughout his terms. He is a strong proponent of full-day kindergarten and has sponsored several bills to implement it here in Colorado in addition to working nationally to increase access to quality education. Representative Wilson’s career as an educator has spanned over four decades and two states. He started his career in his home state of Kansas and after 24 years in education, he moved to Colorado where he served as a Superintendent of Schools for 16 years in three school districts. 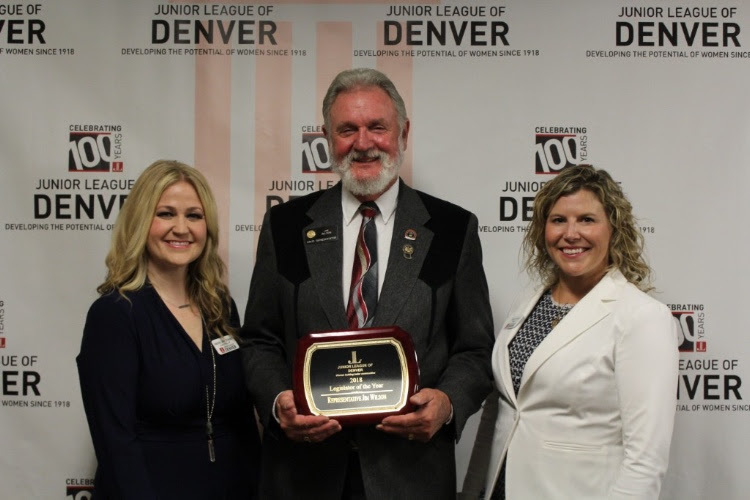 The Junior League of Denver would like to congratulate and thank Rep. Jim Wilson for his tireless efforts over the years related to improving education in Colorado.